The makers of Juggle Bubbles claim that kids can use their bubble making kit – which includes a small dish, pipe-like plastic blower, special bubble solution and orange gloves – to make bubbles that are strong enough to bounce around on your gloved hands. 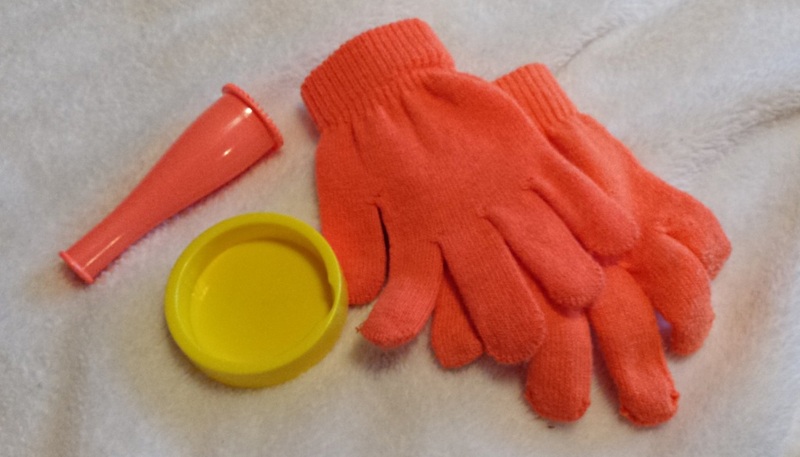 A Juggle Bubbles kit costs about $11. Is it worth it? 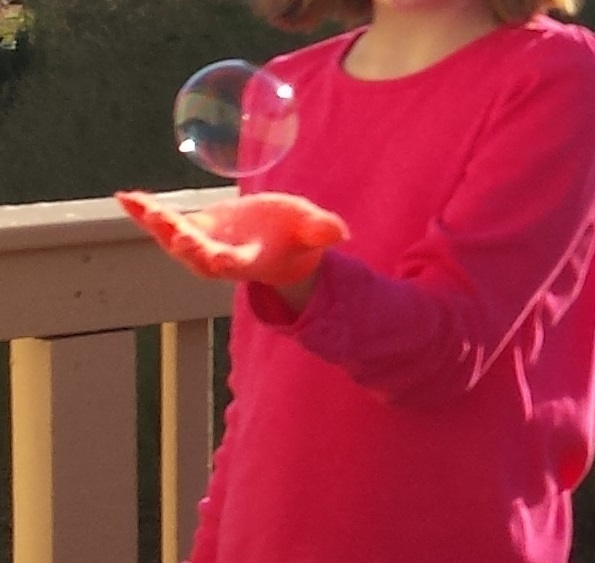 First of all, my testers, ages 10 and 4, love making bubbles and were excited about the concept. However, even the older child had some trouble with the special mechanism for making bubbles at first, which took some practice. Getting the bubbles to last long enough to bounce on her hand also took some time to get right, but both kids eventually bounced a few bubbles. Whether or not your kids can actually bounce the Juggle Bubbles, the bubbles do seem stronger than bubbles made from regular solution. We enjoyed watching escaping bubbles float away on the breeze and keep going until they hit a tree or fell to the ground. This staying power was almost as impressive as being able to occasionally touch bubbles with a gloved hand without breaking them. Juggle Bubbles does sell refills of its secret sauce, but they cost about $7 – significantly more than regular bubble solution. In using my home brew Juggle Bubbles solution facsimile, I discovered that it really works well not only with the Juggle Bubbles kit, but also with large wands designed to make giant bubbles. 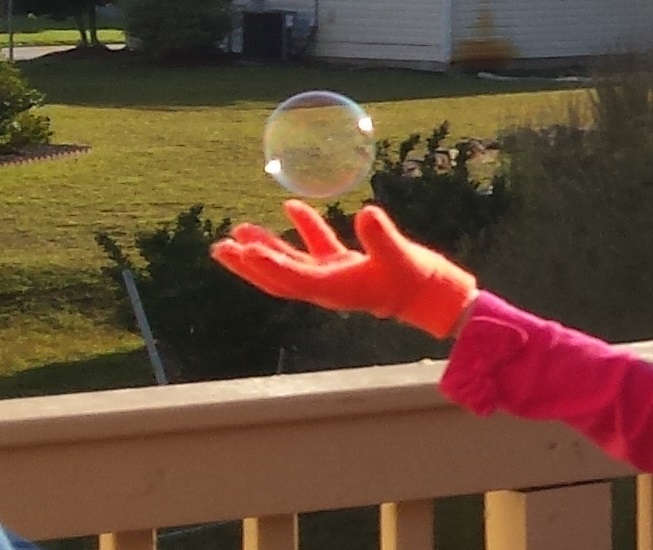 The bubbles turned out huge as well as durable, tending to float longer than standard bubbles. 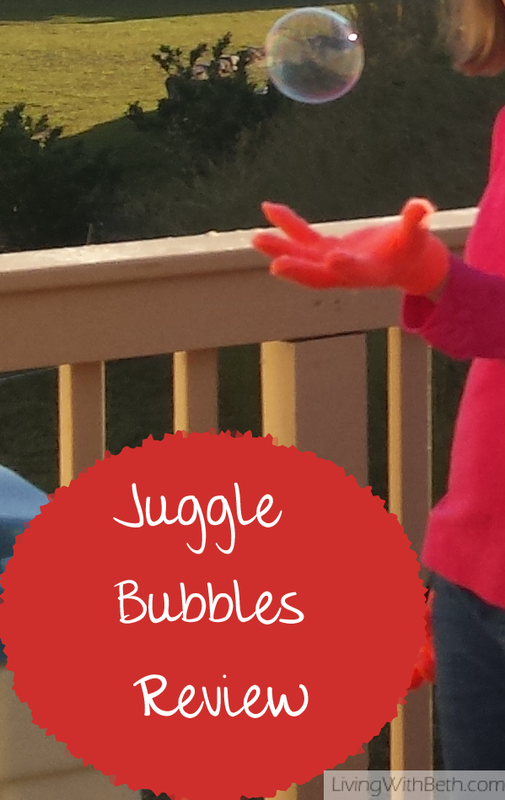 Kids would probably love getting Juggle Bubbles as a gift, but you may want to include a batch of homemade Juggle Bubble solution, too. It seemed like by the time my kids got the hang of using the Juggle Bubble paraphernalia and made a few bouncing bubbles, they’d run out of solution. My kids received the kits used for this Juggle Bubbles review as gifts from a family member. If you enjoyed this article, please click here to give it a G+1!